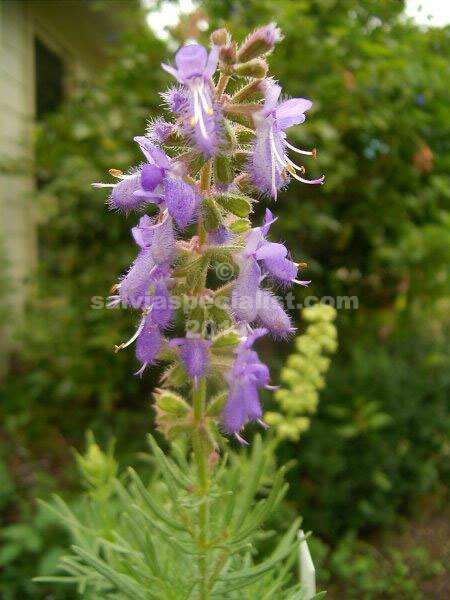 Jurisicii is a hardy pretty little plant with ferny leaves and usually lavender blue flowers. There is also white and pink. Growing from seed you could get any colour but mostly blue. It can be grown from cuttings as well. It really needs it dry, especially in winter when it is dormant. Winter wet and cold will kill it. It probably has snow cover in its native Yugoslavia which keeps the plant dry. A rather similar looking plant is texana from the U.S. which is relatively easy to grow or engelmannia which is hard to raise from seed if you are able to obtain it in the first place.